Florida Insurance Quotes – Get Florida Insurance without the frustration. If you already own a home, particularly in Florida, you’ve probably already put in the work to secure finances and take care of the legalities in order to settle into that house with your family. Your next step is to ensure that your home is protected for years to come. When it comes to owning a home, insurance is a must. Florida home insurance, also known as FL homeowner insurance and even hazard’s insurance, is a type of property insurance that’s designed to cover a private residence. This policy provides various insurance protections that are fundamentally personal in nature, including damages that occur to your home, the contents of your home, the loss of your home and/or the loss of other possessions that belong to you as a homeowner. This type of insurance also covers burdens in the form of liability insurance for homeowners, especially such as of accidents occurring at your home. Home insurance across the United States is also referred to as a “multiple-line insurance policy”. This is the case of policies that include both property insurance and liability coverage with an indivisible premium – one that is essentially a single paid premium that covers all potential risks. Most, if not all, basic home insurance policies are structured in this way. The cost of these insurance policies are based on what it may cost to replace the home, in addition to any additional endorsement and/or riders attached to the policy in question. Florida home insurance policies are more or less contracts between your insurance provider and a named insurer—in this case, yourself as the homeowner. As a contract of indemnity, this contract is mainly designed to help bring your home and your self back to the state it was in before any accident or losses. Home insurance policies are naturally as diverse as the homes they cover. These policies also have a pretty diverse selection of prices—all of which you can research using home insurance quotes as a guide. Before we delve deeper into the costs of Florida home insurance, however, let’s look at what’s actually covered in most of these policies. The most basic home insurance coverage generally covers just your physical home. Also known at some home insurance providers as ‘Coverage A,’ this type of basic insurance coverage covers your home, including its interior and exterior, in addition to structures that may be attached to it, like a garage. The state of the real estate market does not actually affect the insurance value of your home. In most Florida insurance policies, homes are insured against the amount that it’s expected to cost to rebuild the home in full following the event of a total loss. Always check with your home insurance provider to make sure you are getting the best insurance coverage for your home. Coverage for other structures, also known as ‘Coverage B’ options, include coverage for all structures on your property that aren’t attached to your house. These structures can include a pool, gazebo, storage sheds and detached garages. Many home insurance providers provide coverage for personal possessions, which can include the likes of furniture, clothing and housing appliances. For some home insurance policies, however, different types of possessions have limited coverage options or may be completely excluded altogether. It’s best to consult your home insurance provider to learn what’s covered – and what isn’t covered – in any home insurance policy. Some providers have home insurance policies that offer what’s known as Additional Living Expenses or insurance coverage for loss of use of your home. This type of home insurance helps pay for any increased housing and living expenses when you experience a total loss of your property. Most home insurance policies also provide protection from threats such as extreme weather (windstorms, hail, lightning, etc. ), fire/explosions, vandalism/theft, civil commotions, aircraft and vehicles. Though in most cases, many homeowners are able to find an adequate policy to cover their basic needs. Many basic homeowner’s policies specify a minimum amount of required coverage for any major property coverage. That coverage is generally based on the amount of insurance selected for any active policy. Basic liability coverage for your property stops at your primary limit for coverage; liability coverage for other structures is usually around 10 percent of your property’s basic coverage limit. Your personal property, on the other hand, is covered up to 50 percent of your property’s basic limit. Your Florida home insurance provider will be able to provide you with all the information you need to know about just what’s covered in accordance to any liabilities in play. Perhaps one of the most important things to learn about any insurance policy is the prospect of deductibles. With a home insurance policy, the deductible is the amount you have to pay out of pocket before the insurance coverage becomes active—or in other words, your monthly payments. Most deductibles are at least $500; some policies can even have several at one time. In Florida, many home insurance policies also have what’s known as a ‘Calendar-Year Hurricane Deductible.’ As hurricanes frequently affect the state of Florida, this deductible may be applied once per calendar year during hurricane season. 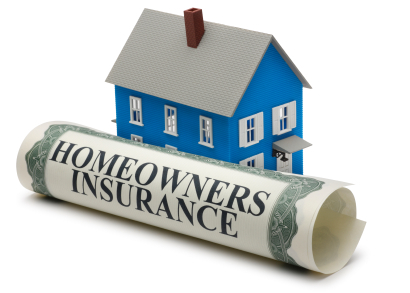 How can I receive cheap Florida homeowners insurance? My Florida home insurance company dropped me. Now What? © 2019 Florida Insurance Quotes. All Rights Reserved.